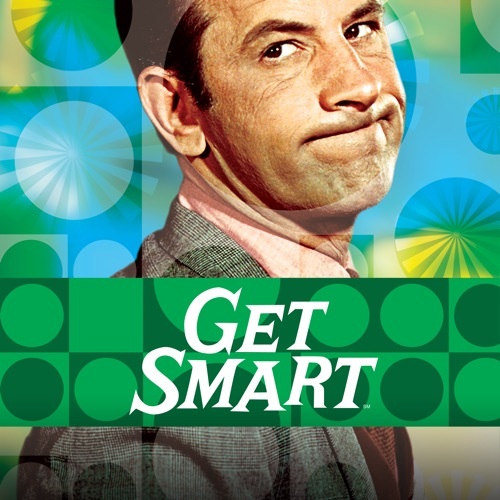 Get Smart, Season 5 wiki, synopsis, reviews - Movies Rankings! Season 5 Premiere. Max and 99 try to free Professor Pheasant from a seemingly unbreakable glass dome. The villainous Ironhand takes over KAOS and goes in search of the Anti-Anti-Anti-Missile-Missile plans. The Chief and Max go undercover at the Valerie School for Expectant Fathers to stop a KAOS plot to bomb California. Max is ordered to woo and marry deadly KAOS widow Ann Cameron--who has murdered 12 Control Agent husbands already! Max must take on the identity of a gold prospector in an effort to save CONTROL from financial ruin. Max trains a trio of criminals for a job that requires them to break into a mansion and steal a valuable code book. Part 1 of 2. With 99 on the brink of giving birth, Max goes in search of a new headquarters for CONTROL. Part 2 of 2. KAOS chases Max and 99 (who is in labor) to the hospital leading to a showdown between KAOS, CONTROL...and 99's mother. Max's hunt for a wounded Big Little Eddie leads to he and 99 being mistaken for a doctor and nurse--who must then treat the criminal. Max receives a banana--the deadly symbol that he is the target of a killer who may be an ape. KAOS infects everyone at CONTROL with a voodoo paint that causes the agents to rapidly age. 12 - Is This Trip Necessary? A notorious KAOS pharmacist aims a powerful hallucinogen at the Washington water supply. Weather hijinks leave Max and the Chief snowed in (in Miami!) while 99 and a CIA agent investigate who is behind the scheme. After 99 complains about some mundane assignments, the Chief tasks her with finding out how KAOS is getting coded messages through a radio show. Part 1 of 2. Max and 99 are sent to London to investigate a new Jack the Ripper. Part 2 of 2. Max poses as a wax Hitler in his effort to bring down Duval and his lively wax creations. Max and 99 must find a way into a mansion filled with screwballs after they drop an important package on the roof. A CONTROL spy school dropout targets Max and other agents in a revenge scheme. The Chief concocts a nanny disguise for a KAOS defector who becomes an instant target for his former organization. Max and 99 pretend to be a valet and maid in a plan to find a stolen rocket fuel sample. Max comes home to discover that 99 has been replaced by a KAOS imposter. Security leaks lead Max and the Chief to a chain of Roman Bath spas. 23 - What's It All About, Algie? A nursery selling plants with spy bugs in them is the focus for Max the gardener. Max is tasked with protecting a descendant of Christopher Columbus who is named the rightful owner of the United States. 25 - Do I Hear a Vaults? Max and the Chief must protect a special book that contains a list of every CONTROL agent. Max is hypnotized by a villain named The Whip who wants to use him to steal a powerful weapon.